Save $10 - $50 on Select JBL Waterproof Speakers! MacBook Air starting at $799.99! Save 10%–20% on Select Philips Hue Starter Kits! Shop DSLR and Mirrorless Cameras Under $1,000! Save $20-$50 on Select Chromebooks, Plus Students Save an Extra $30 with Coupon! Save $10-$250 On Select Gaming PCs and Monitors! Save 20% on Select JBL Reflect Mini 2 Wireless Headphones! Save $300 on Samsung Galaxy Note9, S9 or S9+ with qualified activation! Save $150 on Lens with Purchase of Select Sony Cameras! $199.99 Lenovo IdeaPad 15.6" Laptop with Intel® Celeron® Processor After $60 Savings! $30 Savings and Free $30 E-Gift Card with the Sony Cyber-Shot HX80 Digital Camera! Save $20 On Corsair Void Pro Rgb Wireless Dolby 7.1-Channel Surround Sound Black Gaming Headset! Save 20% on JBL Reflect Contour 2 Wireless In-Ear Headphones in Black! Select Video Games $29.99 including NBA 2K19, Assassin’s Creed Odyssey, Madden 19, Forza Horizon 4, and more! Save $20–$50 on Select Thinkware Dash Cameras! Free Amazon Echo Dot (2nd Generation) Smart Speaker When You Buy a Ring Video Doorbell 2! Save $7 On Select Logitech M310 and M325 Optical Mice! Save $12 on Skullcandy Method Wireless In-Ear Headphones! Save an Extra 10% when You Buy a 4 Piece Samsung Kitchen Bundle! 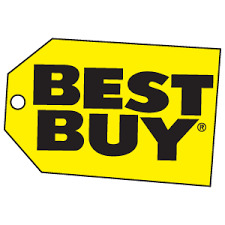 Google Home Mini just $25 and Google Home Hub $99.99 + $10 rewards certificate for My Best Buy members!